reflects the artiste’s mission in life to purposefully continue doing Jah’s works. 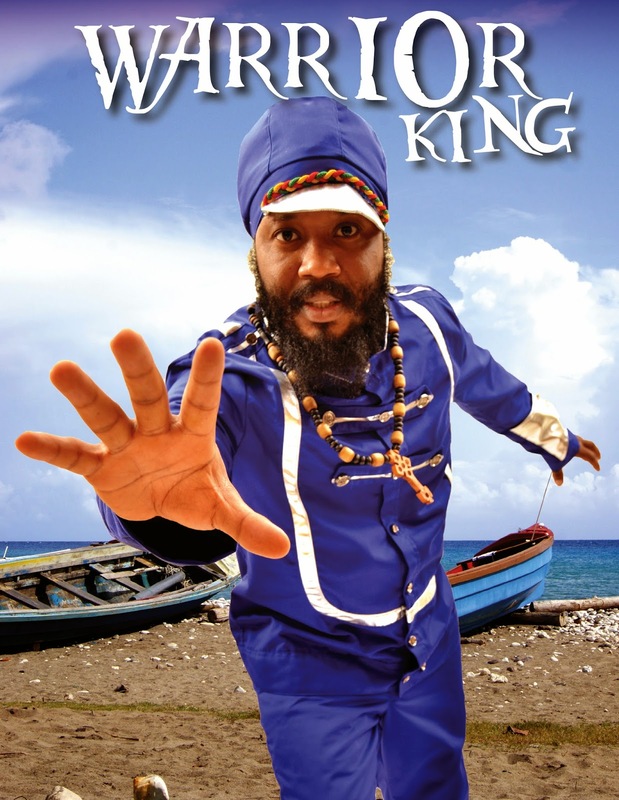 The release of this single, with an accompanying music video directed by Benjamin Lidsky, has seen Warrior King swing into full promotion mode as reconnects with fans at home, in the Caribbean and around the world. Admitting that he has a busy schedule for the next couple of months, the reggae singer, who recently returned from Antigua, says that this is exactly what the doctor ordered. His trip to Antigua two weekends ago saw him appear as the surprise guest artiste at an almost sold-out event staged at the Antigua Recreational Ground, with top reggae acts Tanya Stephens and Sizzla. The successful concert was promoted by King Warrior, a sound system whose name was inspired by Warrior King. “It was the first show for King Warrior and the selectors, Shabba and Billy, are good friends of mine, so when they suggested the week before the show that I come and give the Antiguan people a surprise, I agreed instantly. I used this as an opportunity to promote my new single and it went down well. I did interviews on the main radio stations in Antigua and also did television,” explained a very satisfied Warrior King, whose last visit to that island was five years ago. As for the live performance at the event, it was sensational. Coming on right after Tanya Stephens, who had the crowd in the palm of her hands, Warrior King, backed by Ruff Kut band, went straight into his mega hit, Virtuous Woman and it was instant pandemonium. He gave Antiguans a tight 15-minute set which also included Never Go Where Pagans Go, Can’t Get Me Down, Hold The Faith and a snippet of the new song, Aint Giving Up. Aint Giving Up is the first track off the upcoming album, The Rootz Warrior, produced by Warrior King’S own Rootz Warrior Productions and Irie Sounds International. Meanwhile, the artiste recently enjoyed a boost in popularity by the recent visit to Jamaica of US President Barack Obama, as fans who recalled that Obama had named Warrior King as one of the reggae artistes whose songs he enjoyed, reached out to him from all over the globe to find out if he was performing for the president. Mello FM’s Daybreak with Richie B played Virtuous Woman on Thursday morning as they did a salute to artistes who had impacted the White House during Obama’s presidency. Warrior King left the island last Thursday for a six-week promotional tour of the United States.